Over the past few weeks, we’ve been enjoying the newest truffle on the scene, the Hungarian Honey Truffle (Mattirolomyces terfezioides). Of course, it’s not a “new” truffle – it’s been around forever, but it’s new to most American truffle-lovers. So far, we haven’t been able to find many (actually, ANY) recipes using honey truffles, either online or in our extensive cookbook library. What’s the solution? We create our own recipes, of course! We started by thoughtfully tasting a paper-thin slice of honey truffle. In some ways, the honey truffle is like other mild-flavored truffles; it starts off with a very pleasant, mushroom-like aroma and flavor, but a difference soon becomes apparent. 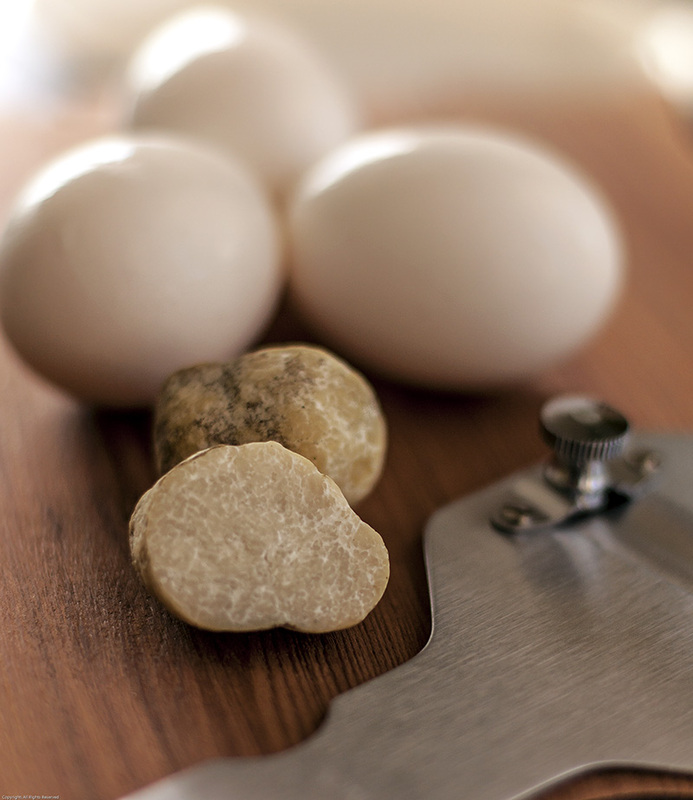 After a moment or two on the tongue, the honey truffle develops a delightfully long, sweet honey-like finish. The more we tried it, the more we liked it. Definitely unusual and eminently intriguing! Knowing that truffles have a particular affinity for mild-tasting foods that contain a bit of fat, including milk, butter, cream and eggs, made it easy to incorporate the honey truffle into some classic desserts. Last week, we made an old-fashioned Sponge Pudding Cake with Honey Truffles that was fantastic. 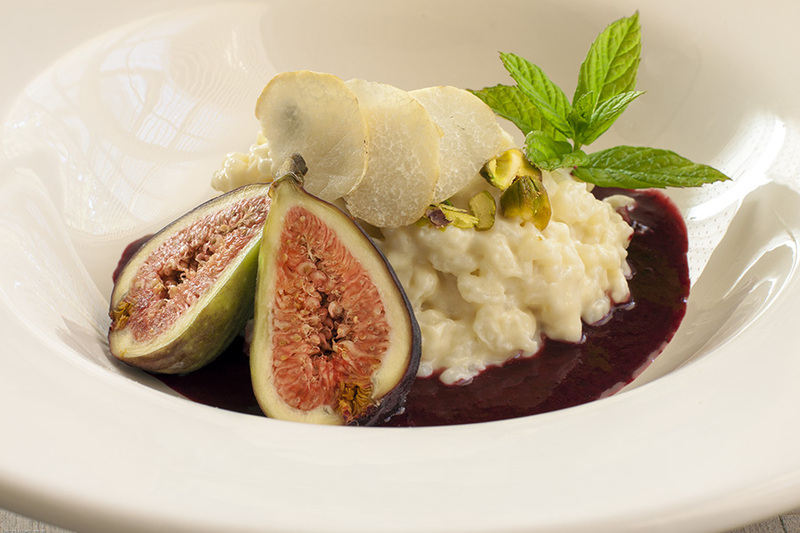 This time out, we’re trying another classic dish – with a bit of a twist: Honey Truffle Arborio Rice Pudding. Is it a dessert? Is it a risotto? Perhaps it’s a bit of both. In any event, it’s a keeper. Bring the water and salt to a boil in a medium saucepan. Add the rice, return to a boil, and then reduce the heat to the lowest setting. Stir occasionally, cooking until the rice has absorbed all of the water but it still al dente, about 15 minutes. Remove from the heat and set aside for a moment. In a medium bowl, whisk together the egg yolks, milk and sugar. Slowly add the still-warm cooked rice mixture a spoonful at a time, stirring constantly. Pour the mixture back into the saucepan. Return the pan to the burner and cook over medium-low heat, stirring constantly and scraping down the sides, until most of the liquid has been absorbed and the pudding is very thick and creamy, about 5 minutes. Remove the pan from the heat and stir in the butter and the finely chopped truffle. Allow to stand for an additional 5 – 10 minutes. Stir in a little more milk if the pudding is too thick. Garnished with a few thin shavings of honey truffle just before serving, Arborio Rice Pudding is equally delicious whether eaten warm, at room temperature, or chilled. Add fresh berries or other fruit, chopped nuts, fruit puree or preserves – or nothing at all – for comfort food at its creamy, satisfying best. 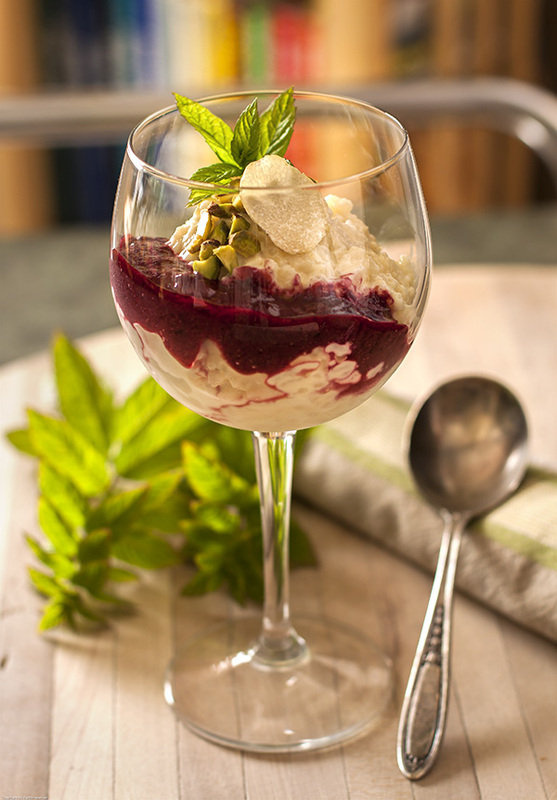 Honey Truffle Arborio Rice Pudding, served with fresh blackberry coulis, chopped pistachios and mint.